This handmade apple baker comes with instructions on how to make a delicious homemade apple treat when purchased in store. Its size is just right. It is a microwave, oven and dishwasher safe piece of art. 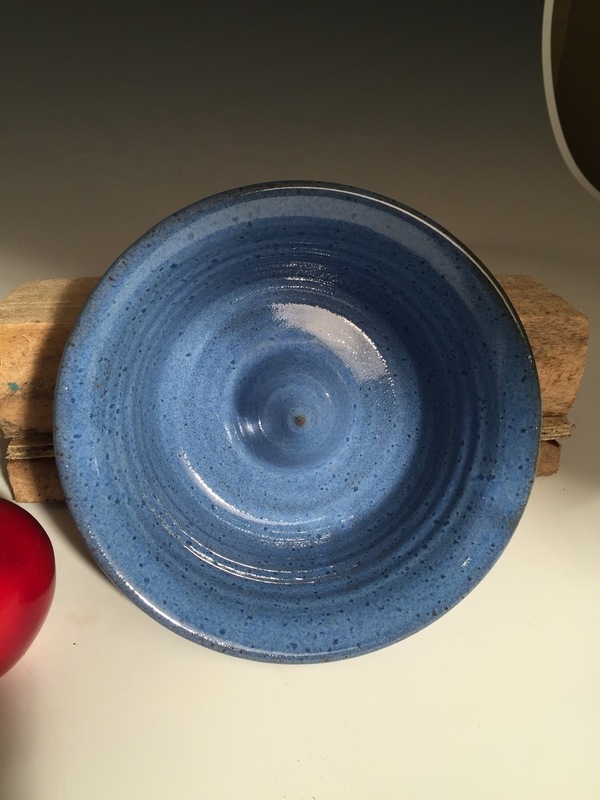 Miracle Pottery is created one piece at a time and no two pieces are or can be exactly the same. When ordering sets of anything we do our best to pick items closest in consistency by color and size. Our work is functional art. It is durable, food safe, great for both the oven and microwave and cleans well in the automatic dishwasher. When using in the confection oven, place stoneware into a cold oven then set to temperature with bakeware inside to warm up as you preheat. Upon completion of cook time, set bakeware onto a trivet, hot pad or a folded towel as not to shock your stoneware. Your Miracle Pottery will last you for many years.